What do 1 and 2 have in common with 3? 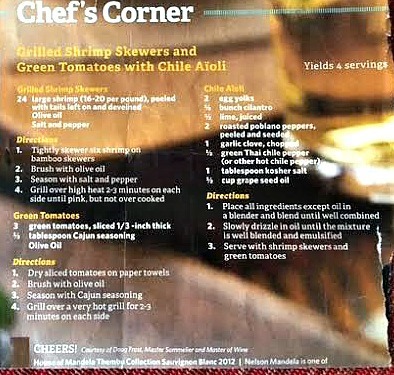 Well, not much, except that not-so-recently I was reading United Airlines in-flight magazine on one of our many trips to Oklahoma and I came across a recipe for grilled shrimp and green tomatoes with a roasted poblano pepper sauce and it changed my life. In addition to the original recipe where we served the sauce with shrimp and tomatoes, we’ve also had it with grilled chicken slices, served on burgers, as a dip for sliced vegetables…just to name a few. Plus, with just a couple of tweaks you can make this sauce as mild or as spicy as you’d like. The magazine version calls for poblano peppers and thai chilies – we’ve never used the thai chilies, but making the sauce simply with poblanos gives it a pleasant heat that builds, then dissipates. When we’re feeling something a little spicier we’ve added jalapenos. For an extra little kick that won’t knock your teeth out, we’ve used a mix of beautiful green poblano peppers and bright red fresno chilies. Have fun with it! Place all ingredients except oil in a blender or food processor and blend until well combined. Slowly drizzle in oil until the mixture is emulsified and a thick aioli forms. 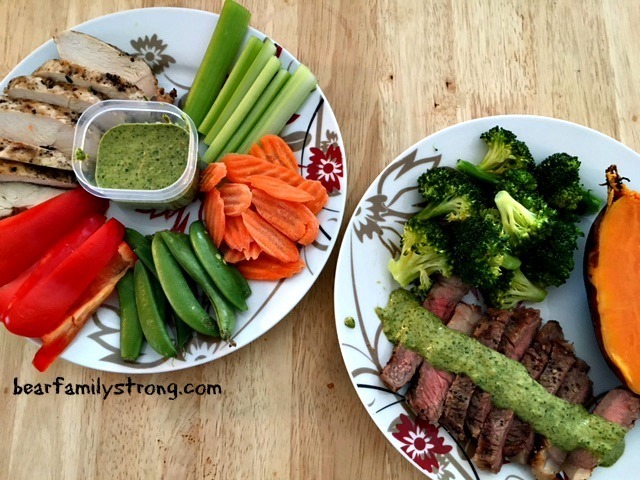 Posted on 16 November 2016 12 November 2016 by BeePosted in Dressing/Condiments, Paleo, Whole 30Tagged condiment, paleo, poblano peppers, sauce, Whole 30. 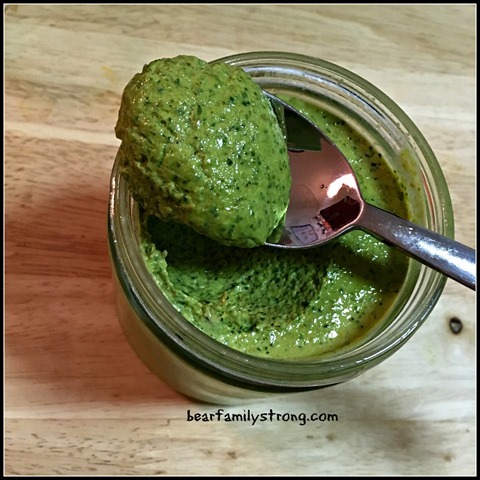 Next Next post: Gearing up for a Bear Family Whole30: Welcome 2017!